The Telecom Commission, the highest decision-making authority under the Ministry of Telecom approved the net neutrality rules earlier this week. These rules mandate that internet service providers cannot diferentiate between web content, ensuring the Indian contiue to get non-discriminatory and unrestricted Internet access. However, mission critical services like autonomous cars and remote access surgery, which need high-speed internet lanes have been kept out of the ambit of net neutrality. 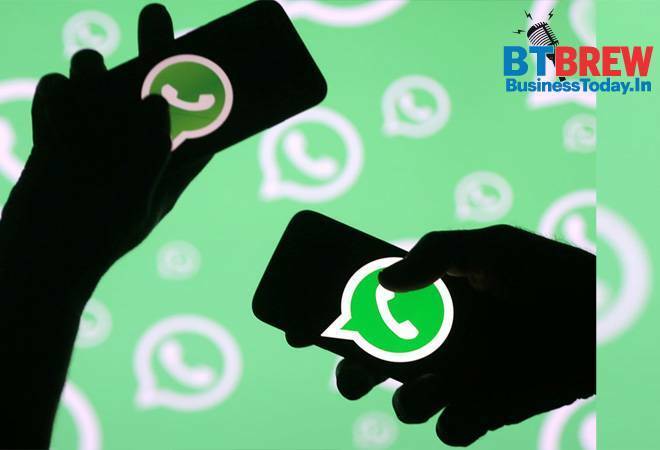 As a part of its digital literacy initiatives, WhatsApp released a 10-point circular to help users to identify false information. These 10 points take cognisanceof loopholes usually exploited by fake news generators. The circular asks WhatsApp users to look for telltale signs to identfiy fake news. It also warns WhatsApp users to never take information they get on the instant messaging platform on its face value. Google Maps extended support to KaiOS, the feature-phone operating system running on JioPhone and Jiophone. The new update has alrady found its way to JioPhone. Users need to update their operating system to its latrst version following which they can find Google Maps on the Jio Store. After this, they cam intall and use the application. Oppo Find X, the all-screen, no-notch flagship smartphone by the company has been launched in India at Rs 55,990. The device comes with a flagship spec-list - Snapdragon 845, coupled with 8GB of RAM and 256GB of internal storage. What sets it apart is the screen which dominates the entire front, amounting to a screen-to-body ratio of 93.8 per cent. The front camera, other sensors and the rear dual cameras have been mounted on a motorised slider that pops out of the top. Apple unveiled new 13-inch and 15-inch models of Macbook Pro with faster performance, more memoory and enhanced security. The new 15-inch Macbook Pro performs 70 per cent faster than its predecessor, whereas the 13-inch Macbook Pro boasts a 100 per cent boost in performance. The new Macbook Pro laptops also come with Apple's virtual assistant Siri. With Apple's T2 chip, not only can these laptops access Siri, but also offer more secure interface. Xiaomi confirmed that it will launch the Mi Max 3 on July 19. In a poster released by the company on its Weibo account, Xiaomi claimed that the Mi Max 3 will come with a larger screen and a bigger battery. The Xiaomi Mi Max 3 is likely to come with an octa-core processor clocked at 1.8GHz, coupled with either 3GB, 4GB, or 6GB of RAM, along with 32GB, 64GB or 128GB of internal storage. A higher-specced Mi Max 3 Pro with the Snapdragon 710 is also expected. Motorola launched its budget offerings, the Moto E5 and Moto E5 Plus, in India at Rs 9,999 and Rs 11,999 respectively. Both devices are Amazon exclusives and are available for purchase as of now. The Moto E5 is powered by Snapdragon 425 along with 2GB of RAM and 16GB of internal storage, whereas the Moto E5 Plus comes with the Snapdragon 430, coupled with 3GB of RAM and 32GB of internal storage. The USP of the Moto E5 Plus is its humongous 5000mAh battery. In the optics department, the Moto E5 Plus comes a 12MP rear camera and a 8MP front camera. The Moto E5 comes with a 13MP rear camera, albeit with lesser features and the same 8MP front snapper as the Moto E5 Plus.